Dudeman's Blog Follow along as I post up my most recent works. Vans Hi-Standard Series, Mount St. Louis-Moonstone 2014 event. 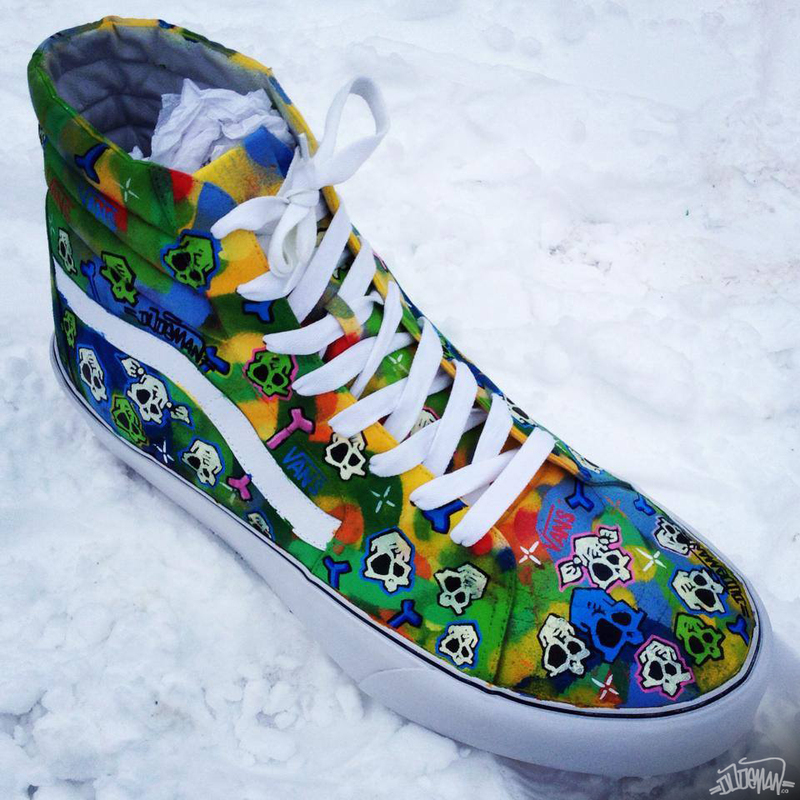 Commissioned to design and paint artwork for a massive (easily size 22) Vans® shoe, live at the Vans® Hi-Standard Series 2014 event/Ontario. During this event, Vans® gave out 10 blank pairs of shoes complete with coloured markers to contestants in the base lodge of Mt. St. Louis-Moonstone. Their task was to decorate these shoes however they saw fit, I was there as inspiration, drawing and painting on the massive model shoe. At the end of the event my shoe, now completed was awarded to one of the participants in a random draw. The lucky guy was super stoked (both he and his dad were extremely grateful people). Ten minutes after winning his prize shoe he posted it up on Instagram for all to see (photo attached). The event follow up promotional video. Here’s the finished product at the end of the day.